The COPY .. PROGRAM feature explicitly states that it can only be executed by database users that have been granted superuser privileges or the default role pg_execute_server_program. By design, this feature allows one who is granted superuser or pg_execute_server_program to perform actions as the operating system user the PostgreSQL server runs under (normally "postgres"). The default roles pg_read_server_files and pg_write_server_files that are mentioned in the CVE do not grant permission for a database user to use COPY .. PROGRAM. By design, there exists no security boundary between a database superuser and the operating system user the server runs under. As such, by design the PostgreSQL server is not allowed to run as an operating system superuser (e.g. "root"). The features for COPY .. PROGRAM added in PostgreSQL 9.3 did not change any of the above, but added a new command within the same security boundaries that already existed. Nevertheless, when we tried to open a handle to the device \.\HwOs2EcX64, it failed with Last Error = 537, “Application verifier has found an error in the current process”. The driver was rejecting our request to open the device. How is access enforced? It must be on the CreateFile path; in other words, in HwOs2Ec10x64.sys IRP_MJ_CREATE dispatch routine. This function validates the calling process by making sure that the main executable path belongs to a whitelist (e.g., C:\Program Files\Huawei\PCManager\MateBookService.exe). This simple check on the initiating process name, however, doesn’t guarantee the integrity of the calling process. An attacker-controlled instance of MateBookService.exe will still be granted access to the device \.\HwOs2EcX64 and be able to call some of its IRP functions. Then, the attacker-controlled process could abuse this capability to talk with the device to register a watched executable of its own choice. 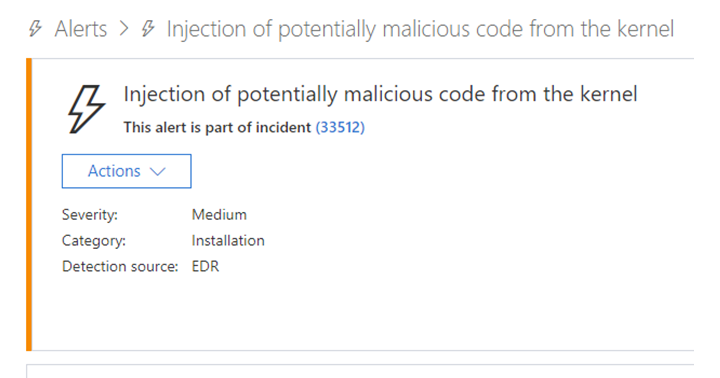 Given the fact that a parent process has full permissions over its children, even a code with low privileges might spawn an infected MateBookService.exe and inject code into it. In our proof-of-concept, we used process hollowing. Further demonstrating the computational risks of looking into the future, boffins have found another way to abuse speculative execution in Intel CPUs to steal secrets and other data from running applications. Speculative execution, the practice of allowing processors to perform future work that may or may not be needed while they await the completion of other computations, is what enabled the Spectre vulnerabilities revealed early last year. In a research paper distributed this month through pre-print service ArXiv, "SPOILER: Speculative Load Hazards Boost Rowhammer and Cache Attacks," computer scientists at Worcester Polytechnic Institute in the US, and the University of Lübeck in Germany, describe a new way to abuse the performance boost. The researchers – Saad Islam, Ahmad Moghimi, Ida Bruhns, Moritz Krebbel, Berk Gulmezoglu, Thomas Eisenbarth and Berk Sunar – have found that "a weakness in the address speculation of Intel’s proprietary implementation of the memory subsystem" reveals memory layout data, making other attacks like Rowhammer much easier to carry out. The issue is separate from the Spectre vulnerabilities, and is not addressed by existing mitigations. It can be exploited from user space without elevated privileges. SPOILER doesnʼt stand for anything. In an email to The Register, Daniel (Ahmad) Moghimi explained: "We picked a named that starts with ʼSpʼ, since itʼs an issue due to speculative execution and it kinda spoils existing security assumptions on modern CPUs." "The root cause of the issue is that the memory operations execute speculatively and the processor resolves the dependency when the full physical address bits are available," said Moghimi. "Physical address bits are security sensitive information and if they are available to user space, it elevates the user to perform other micro architectural attacks." Modern processors manage reading and writing to RAM using a memory order buffer to keep track of operations. The buffer is used to perform store instructions – copying data from a CPU register to main memory – in the order they are laid out in executable code, and perform load operations – copying data from main memory to a register – out-of-order, speculatively. It allows the processor to run ahead and speculatively fetch information from RAM into the registers, provided there are no dependency problems, such as a load relying on an earlier store that hasnʼt yet completed. Speculating about a load operation may result in false dependencies if physical address information isnʼt available. Intelʼs chips perform memory disambiguation to prevent computation on invalid data, arising from incorrect speculation. They just donʼt do it all that well. "The root cause for SPOILER is a weakness in the address speculation of Intel’s proprietary implementation of the memory subsystem which directly leaks timing behavior due to physical address conflicts," the paper explains. "Our algorithm, fills up the store buffer within the processors with addresses that have the same offset but they are in different virtual pages," said Moghimi. "Then, we issue a memory load that has the same offset similarly but from a different memory page and measure the time of the load. By iterating over a good number of virtual pages, the timing reveals information about the dependency resolution failures in multiple stages." Mitigations may prove hard to come by. "There is no software mitigation that can completely erase this problem," the researchers say. Chip architecture fixes may work, they add, but at the cost of performance. Intel is said to have been informed of the findings on December 1, 2018. The chip maker did not immediately respond to a request for comment. The paperʼs release comes after the 90 day grace period thatʼs common in the security community for responsible disclosure. Moghimi doubts Intel has a viable response. "My personal opinion is that when it comes to the memory subsystem, itʼs very hard to make any changes and itʼs not something you can patch easily with a microcode without losing tremendous performance," he said. An extra whitespace in a server response allowed a security firm to track a hackers' favorite tool for years. Zip Slip is a widespread arbitrary file overwrite critical vulnerability,which typically results in remote command execution.It was discovered and responsibly disclosed by the Snyk Security team ahead of a public disclosure on 5th June 2018, and affects thousands of projects,including ones from HP,Amazon, Apache,Pivotal and many more (CVEs and full list here).Of course, this type of vulnerability has existed before,but recently it has manifested itself in a much larger number of projects and libraries. The vulnerability is exploited using a specially crafted archive that holds directory traversal filenames (e.g. ../../evil.sh). 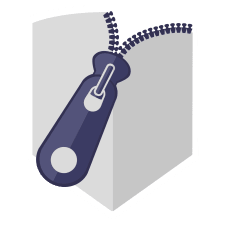 The Zip Slip vulnerability can affect numerous archive formats,including tar,jar,war, cpio,apk,rar and 7z.If you’d like the information on this page in a downloadable technical white paper, click the button below. Zip Slip is a form of directory traversal that can be exploited by extracting files from an archive.The premise of the directory traversal vulnerability is that an attacker can gain access to parts of the file system outside of the target folder in which they should reside.The attacker can then overwrite executable files and either invoke them remotely or wait for the system or user to call them,thus achieving remote command execution on the victim’s machine.The vulnerability can also cause damage by overwriting configuration files or other sensitive resources,and can be exploited on both client (user) machines and servers. Password managers allow the storage and retrieval of sensitive information from an encrypted database. Users rely on them to provide better security guarantees against trivial exfiltration than alternative ways of storing passwords, such as an unsecured flat text file. In this paper we propose security guarantees password managers should offer and examine the underlying workings of five popular password managers targeting the Windows 10 platform: 1Password 7, 1Password 4, Dashlane, KeePass, and LastPass. We anticipated that password managers would employ basic security best practices, such as scrubbing secrets from memory when they are not in use and sanitization of memory once a password manager was logged out and placed into a locked state. However, we found that in all password managers we examined, trivial secrets extraction was possible from a locked password manager, including the master password in some cases, exposing up to 60 million users that use the password managers in this study to secrets retrieval from an assumed secure locked state. First and foremost, password managers are a good thing. All password managers we have examined add value to the security posture of secrets management, and as Troy Hunt, an active security researcher once wrote, “Password managers don’t have to be perfect, they just have to be better than not having one”. Aside from being an administrative tool to allow users to categorize and better manage their credentials, password managers guide users to avoid bad password practices such as using weak passwords, common passwords, generic passwords, and password reuse. The tradeoff is that users’ credentials are then centrally stored and managed, typically protected by a single master password to unlock a password manager data store. 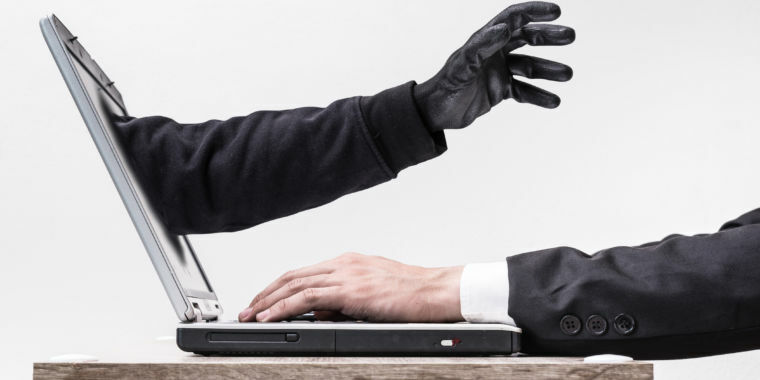 With the rising popularity of password manager use it is safe to assume that adversarial activity will target the growing user base of these password managers. With the proliferation of online services, password use has gone from about 25 passwords per user in 2007 to 130 in 2015 and is projected to grow to 207 in 2020. This, combined with a userbase of 60 million across password managers we examine in this paper, creates a target rich environment in which adversaries can carefully craft methods to extract an increasingly growing and valuable trove of secrets and credentials. An example in which a password manager appears to have been specifically targeted is an attack that led to the loss of 2578 units of Ethereum (ETH), a cryptocurrency valued at the time of 1.5 million USD. The attack was carried out against a cryptocurrency trading assistant platform, Taylor. Taylor issued a statement that indicated a device which was using 1Password for secrets management was compromised. It remains unclear, whether the attacker found a security issue in 1Password itself or simply discovered the master password in some other way, or whether the compromise had nothing to do with password managers. Given the combination of an increasing number of credentials held in password managers, the value of those secrets and the emerging threats specifically targeting password managers it is important for us to examine the increased risk a user or organization faces in terms of secrets exposure when using a password manager. Our approach for this was to survey popular password managers to determine common defenses they employ against secrets exfiltration. We incorporate the best security features of each into a hypothetical, best possible password manager, that provides a minimum set of guarantees outlined in the next section. Then we compare the password managers studied against those security guarantees. All password managers studied work in the same basic way. Users enter or generate passwords in the software and add any pertinent metadata (e.g., answers to security questions, and the site the password goes to). This information is encrypted and then decrypted only when it is needed for display, for passing to a browser add-on that fills the password into a website, or for copying to the clipboard for use. We define “not running” as a state where the password manager has previously been installed, configured, and interacted with by the user to store secrets, but has not been launched since the last reboot or has been terminated by the user since it was last used. There should be no data stored on disk that would offer an attacker leverage toward compromising the database stored on disk (e.g. the master password or encryption key stored in a configuration file). Even if an attacker retrieves the password database from disk, it should be encrypted in such a way that an attacker cannot decrypt it without knowing the master password. The encryption should be designed in such a way that, so long as the user did not use a trivial password, the attacker cannot brute force guess the master password in a reasonable amount of time using commonly available computing resources. We define running in an “unlocked state” as cases where the password manager is running, and where the user has typed in the master password in order to decrypt and access the stored passwords inside the manager. The user may have displayed, copied to clipboard, or otherwise accessed some of the passwords in the password manager. It should not be possible to extract the master password from memory, either directly or in any form that allows the original master password to be recovered. For those stored passwords that have not been displayed/copied/accessed by the user since the password manager was unlocked, it should not be possible to extract those unencrypted passwords from memory. It may be possible to extract those passwords from memory that were displayed/copied/accessed in the current unlocked session. It may be possible to extract cryptographic information derived from the master password sufficient to decrypt other stored passwords, but not the master password itself. We define “in locked state” as cases where (1) the password manager was just launched but the user has not entered the master password yet, or (2) the user previously entered the master password and used the password manager, but subsequently clicked the ‘Lock’ or ‘Log Out’ button. All the security guarantees of a not-running password manager should apply to a password manager that is in the locked state. It should not be possible to extract from memory any cryptographic information derived from the master password that might allow passwords to be decrypted without knowing the master password. It should not be possible to extract any unencrypted passwords from memory that are stored in the password manager. 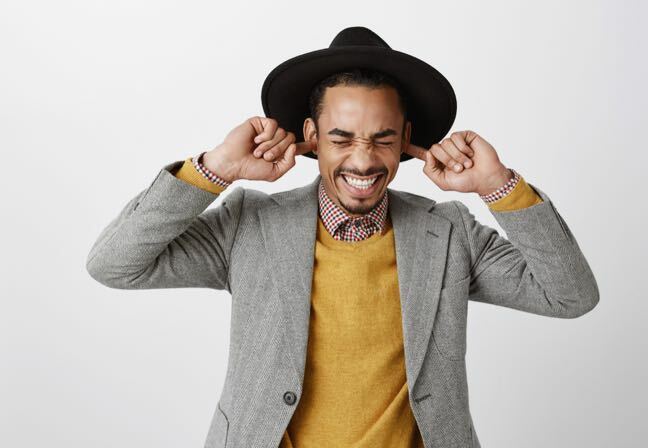 In addition to these explicit security guarantees, we expect password managers to incorporate additional hardening measures where possible, and to have these hardening measures enabled by default. For example, password managers should attempt to block software keystroke loggers from accessing the master password as it is typed, attempt to limit the exposure of unencrypted passwords left on the clipboard, and take reasonable steps to detect and block modification or patching of the password manager and its supporting libraries that might expose passwords. In this paper we will examine the inner workings as they relate to secrets retrieval and storage of 1Password, Dashlane, KeePass and LastPass on the Windows 10 platform (Version 1803 Build 17134.345) using an Intel i7-7700HQ processor. We examine susceptibility of a password manager to secrets exfiltration via examination of the password database on disk; memory forensics; and finally, keylogging, clipboard monitoring, and binary modification. Each password manager is examined in its default configuration after install with no advanced configuration steps performed. The focus on our evaluation of password managers is limited to the Windows platform. Our findings can be extrapolated to password manager implementations in other operating systems to guide research to areas of interest that are discussed in this paper. P.S. AND DON'T FORGET: THE MAIN VULNERABILITY IS WINDOWS! 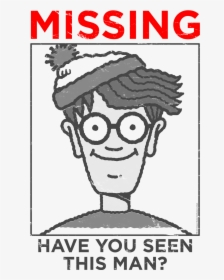 The original patch issued for the zero-day can be bypassed. 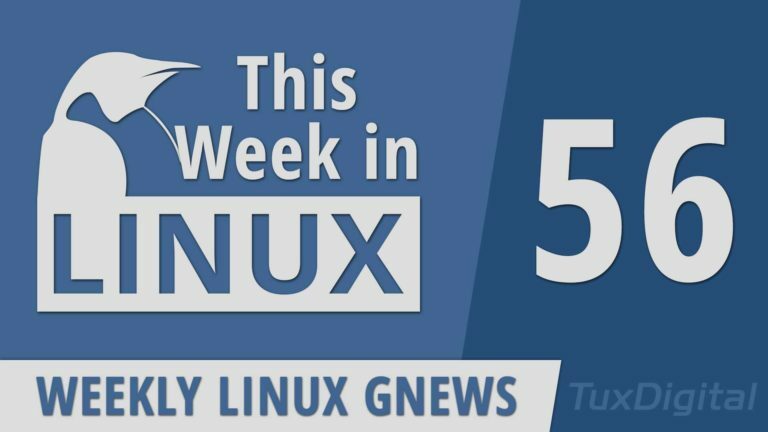 On this episode of This Week in Linux, we got some big new releases from the WINE project, LXQt, Parrot OS, Mastodon, MythTV, Gitea, and many more! We’ll also check out a security issue regarding the APT package manager and a potential blunder coming to Chromium based browsers. Then we’ll cover a new really cool utility to control GPU Overclocking on Linux. Later in the show, we’ll check out some new Linux Hardware and some Linux Gaming news. All that and much more! #Windows 10 #vulnerability #exploits in 3-2-1. Secure your IP camera(s) and help other non-technical people! In August, Mastodon 2.4.4 was released which contains two fixes for security vulnerabilities. Today, 39.5% of all Mastodon instances which show their version number are still running vulnerable Mastodon < 2.4.4. Either the remaining instances are all unmaintained or admins refuse to update.